Secure Data Recovery Services provides RAID recovery, tape repair, and hard drive repair services in Dallas, Texas. As one of the world's most well-known data recovery companies, we have the technology and expertise to treat thousands of different data loss scenarios effectively. Our Dallas digital forensics service is invaluable when American Insurance Agency must investigate suspected fraudulent claims. Likewise, our e-discovery capabilities would be indispensable to civil litigations firms, such as Vernon & Duray, L.L.P. to comply with the latest FRCP discovery guidelines. As one of the world's most well-known data recovery companies, we have the technology and expertise to treat thousands of different data loss and data computer forensics scenarios effectively. Local law enforcement agencies, including the U.S. Marshals Posse in Dallas, know that our computer forensics is always ready to help in criminal investigations. We support all our forensics and e-discovery activities with professional, expert testimony as well. When you need access to your important files quickly, you can depend on our Dallas office to provide a service that is right for your unique situation. See some of our featured data recovery services below. Dallas is the third largest city in Texas, so we established our office near Reverchon Park to give our local clients a dependable source for professional data and hard drive recovery. We have served the city of Dallas for many years, and whether you have lost a single file or Terabytes of information, we are ready to provide the professional and secure data and hard drive recovery local businesses need in order to recover quickly. Our laboratories use a certified Class 10 ISO 4 Cleanroom. Our Cleanroom uses filters, humidity controls, and anti-static measures to effectively prevent any chance of accidental media damage during standard data recovery procedures. Good filtration is especially important for hard drive data recovery due to the extremely small distance between the components that read and store data on modern hard drives. If a piece of dust gets between a hard drive's read/write heads and its platters, the hard drive could fail, causing permanent damage. A Class 10 ISO 4 Cleanroom allows a maximum of 10 particles within any cubic foot of laboratory space. For comparison, most professional data recovery companies use Cleanrooms that allow 100 particles in the same space. We give our engineers an ideal environment for data recovery, which results in better turnaround times and higher recovery rates than many of our competitors. Secure Data Recovery Services is also a certified member of the Green Business Program. 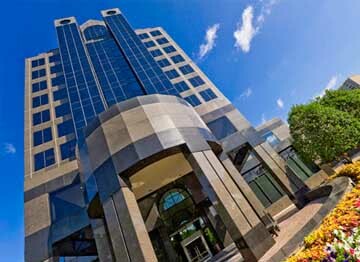 We research and implement sustainable practices at all of our locations, including our office in Dallas. Data recovery with the smallest possible carbon footprint is our commitment to our clients and our community. Visit our certifications section for more information. By choosing a company that specializes in secure data recovery, clients keep their data protected and ensure compliance with federal and state security laws. Secure Data Recovery Services has relevant security certifications that you can trust. We are SAS 70 and SSAE 18 Type II Certified, two widely used standards in technology industries and, unlike other data recovery companies in Texas, we post our reports for these certifications online. Dallas is one of the most significant corporate centers in the United States. For many businesses in Dallas, hard drive recovery options are limited by federal security regulations. Data recovery companies should always comply with relevant security laws in order to protect their clients. At Secure Data Recovery Services, we carry out additional compliance audits for laws like HIPAA, FERPA, and PCI-DSS. By treating every case with exceptional security procedures, we can handle cases for medical institutions, government organizations, and other high-security clients. Additionally, we are a certified member of the GSA schedule, which many Dallas-area military and government organizations use to find reputable, affordable IT contractors. Contact our customer service team for our General Services Administration contractor number. We offer data recovery on all types of digital media, including RAID data recovery in Dallas. Our standard data recovery services are an excellent option for all computer users and have fast turnaround times of only a few days, although turnaround always depends on failure scenario and media type. We offer free, no-risk diagnostics for our standard services. We also offer same-day emergency data recovery services. Prospective Dallas clients who need the fastest possible recovery time should ask about our emergency services option. We give your case 24/7/365 attention for a fast, dependable recovery with the same security features as our standard recovery option. We even offer local pick-up and drop-off for all of our 24/7 services. Our customer service team is available anytime to discuss your options for data recovery. New clients can get started by filling out our recovery form online. Secure data was able to recover many great family memories on my hard drive. Thank you for your help! Years of photos now back "home"! I am an active amateur photographer, and, also a grandmother - in other words, I have a lot of photos that are important to me. Fortunately (or unfortunately), I spent my professional career with a university IT department which managed my every computer need. When I retired, I realized that I was actually much less computer literate than I had thought! When I had to spend hours re-organizing my Lightroom Catalogue last year, I sought help from guys who knew Lightroom, but it was not their job to teach me the technical side of my Mac Computer. I knew just enough to get myself into trouble! A couple of months ago, I was proudly moving my photos onto an external hard drive. After carefully reconstructing the Lightroom Catalogue, one morning I could not find anything at all! I grabbed the external hard drive and took it to my reliable local Apple repair shop where they declared the drive DOA! Not only had the hard drive failed, but the back-up that I thought was on a different drive, was in fact on the same now-dead device! I was devastated! Sewelltech Computer Repair suggested that I contact Secure Data Recovery. travel, family, and art images was priceless. I am very grateful to have it back. Thank you Rob, and thank you Secure Data Recovery. The communication between the account represntative (Rob) and the customer is excellent. I was contacted almost immediately after sending a request for information and kept informed every step of the way. I experienced a hard disk crash and, although I faithfully back up important documents daily with intermittent backups throughout the day, I was particularly productive the day of the crash and not as conscious at backing up to USB as I went along; thus, I lost several important documents. Since I''m in healthcare, I had to have a HIPAA compliant recovery company. It wasn''t cheap for the few documents I needed to recover, but the costs cover Secure Data''s security measures, care in using a very sterile environment, and time to capture as much of the good data as possible. You also get a large external hard drive with your recovered data that can be used for future backups and includes virus protection and cloud storage (they also sent a nice stylus-ballpoint pen). The only thing I was a little concerned about is that it took a lot longer than expected (almost three weeks from time I hand delivered the affected drive and the recovered data was received). I initially was told it would be 5 to 10 business days; however, there is an option for immediate or faster service if timing is of the essence. I just decided that standard service was good enough for my purposes, and I have the data now, so all is well. Overall, very happy and I would use this service again if needed. Chris was great from the beginning. He explained everything very clearly and professionally and got the ball rolling immediately. The assessment was completed much faster than I anticipated. We ultimately decided not to move forward with the recovery but Chris was great and followed up with us to arrange return of the drive. Rob was my representative and walked through the scenarios and stayed in touch with me as soon as the diagnosis was complete. My only negative feeling was in the cost, which was a tad steep, though I was reassured due to the multiple issues with the drive, it was justified. Given this drive was not working for 5 years and stored in the garage since then, and much of the data on it was from the early 1990''s, plus photos of my second son''s birth, the cost inevitably was justified. You cannot get your own clean room and expertise on a weekend unless you have the resources to do so, which the pricetag of this kind of operation reflects, along with the success of the operation. So in conclusion, if the information is important enough and you didn''t already open up the drive on your own and use the platters to disc-jockey at a rave, you will get high quality tech and support in return for your investment. Some things are worth it.